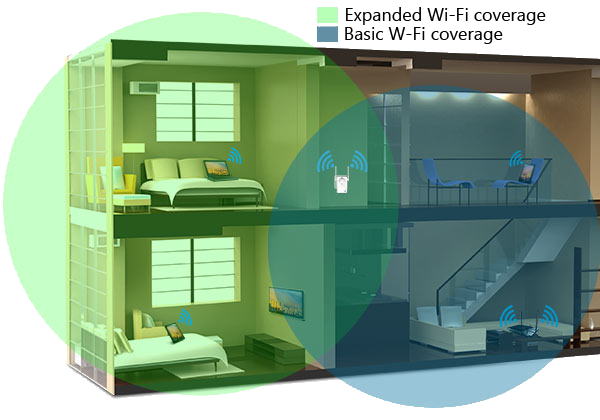 If you're not getting the level of WiFi signal coverage you are looking for, it is likely because you do not have the right hardware installed to support your intended use. Internet providers will typically go as far as intalling a single modem / router combo to support your whole home or business. In smaller and low traffic areas, this is typically all you may need, however, you can eliminate dead spots and have significantly faster network services by having a professionals install wireless access points, range extenders, outdoor antenna systems or whatever may be relevant to make your coverage area fit-for-intended-use. We do it all. Our field techs are WiFi equipment experts. Give us a call today.